With it's crisp white interior, this is a posh lounge to sip on a glass of wine or a cocktail - so don't show up in jeans and sneakers. They offer a dinner menu with artisan selections like Smoked duckbreast on a spinach salad with mango and balsamico or Grilled Seafood plateau; though once the sun goes down you can pop in for a late-night drink. 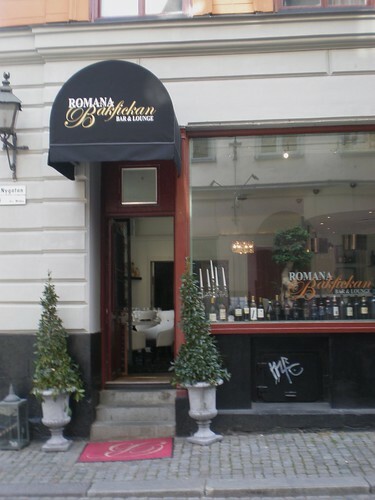 Cocktails start at 110 kr (made with exotic flavours like peach, passion fruits, sweet cherry and granny smith apples), beer at 45 kr and wine at 65 kr. See www.trattoriaromana.nu for more.